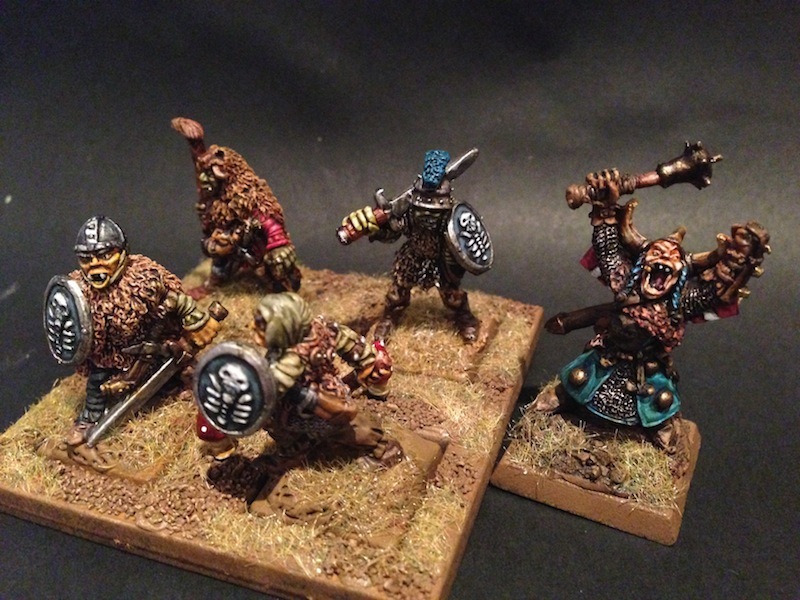 What size bases are you using for the Hobgoblins Aiteal? 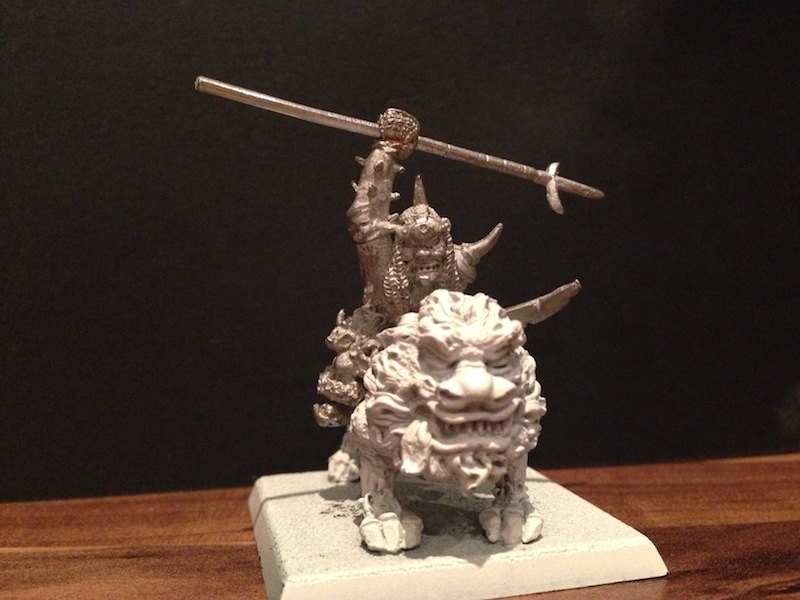 Sticking with 2nd/3rd edition bases sizes, so 25mm. 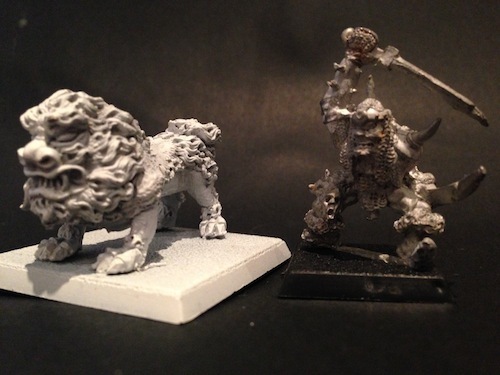 I have two Hobgoblin miniatures coming in the post along with some Goblins and Lizardmen.First new miniatures of 2014 . Thanks for the info on the base sizes you are using.It will come in handy. Need to dig out my Hobgoblin rocket launcher. I've been neglecting the horde as i'm too easily distracted, so I did this guy tonight. Last edited by Aiteal on Thu Apr 10, 2014 8:20 pm, edited 1 time in total. Very nice Iam liking the blue tone you've given the Temple Dog. I found my Temple Dog a right pain to paint. You don't tend to get much practice painting stone. Rob_S wrote: Very nice Iam liking the blue tone you've given the Temple Dog. I found my Temple Dog a right pain to paint. 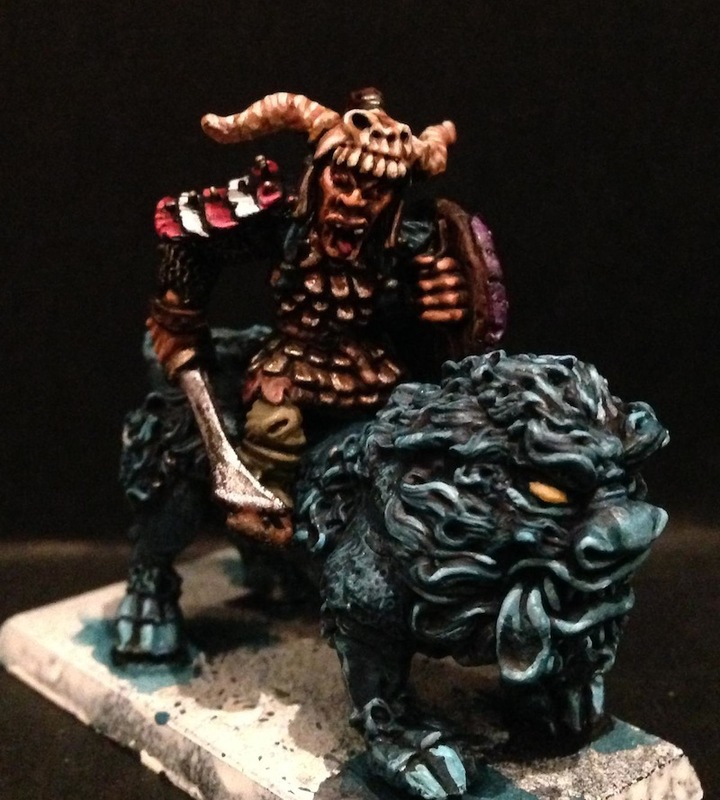 You don't tend to get much practice painting stone. Thanks Asslessman, I'm trying to stay away from regular greys for the temple dogs.